David was born and raised in Jamaica, New York and graduated with a degree in History from City University of New York, Queens College in 1985. David moved to Atlanta in 1985 to attend Emory University School of Law and obtained his Juris Doctor Degree in 1988. David began his legal career as an associate with a small firm whose practice focused on the representation of surety companies and contractors. David was responsible for handling all aspects of surety claims including the review and evaluation of performance bond claims, organizing completion of various projects, hiring contractors, working with construction experts, and reviewing pay applications and payment bond claims. David participated in numerous trials and arbitration hearings representing both the surety and at times, the contractor. 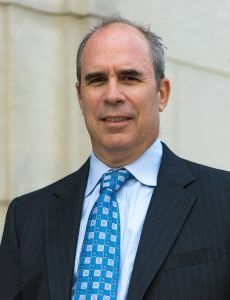 In 1996 David started his own firm, Merbaum Law Group, P.C., in Alpharetta, Georgia. In 2016 the Firm name was changed to Merbaum & Becker, P.C. to reflect the addition of partner Andrew J. Becker. The Firm represents contractors, subcontractors, landlords, tenants, small businesses, and material and sporting good supply companies in matters throughout the United States. The Firm handles cases involving construction law, commercial collections, landlord tenant, incorporation, real estate matters including real estate litigation, business advice and dispute resolution and consumer advice and representation. The Firm is able to assist clients from initial communications through litigation or arbitration and the appeal process. David has been involved in several Court of Appeals cases which addressed relevant and important issues in Georgia which are detailed on our legal reviews and case studies page. David is a member of the Atlanta Bar Association and the North Fulton Bar Association. David has presented seminars to trade groups relating to lien and bond laws in the State of Georgia. David has been married to Michele for 25 years. They have two children. David enjoys reading, playing softball and golf and business interests.